This apartment is aptly named as the views from the verandah are spectacular. Comfortably accommodating 2 guests Sunrise offers a wonderful outside space, ideal for dining, entertaining and cocktails. This lovely apartment has a comfortable double bedroom and bathroom, perfect for a couple. Sunrise Apartment is surrounded by beautifully landscaped gardens filled with tropical plants and shrubs. There are lovely lawns and tropical aromatic shrubs. 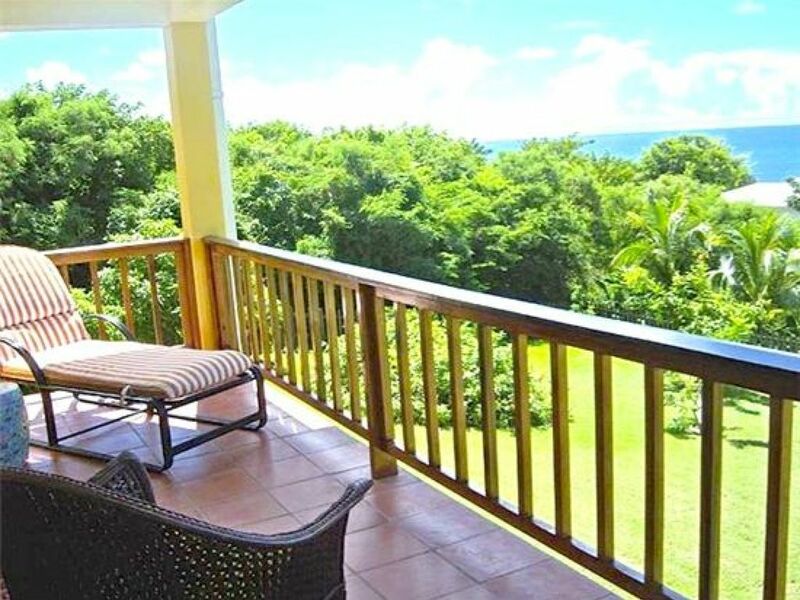 This lovely apartment is in a secluded area of Fort Jeudy, a desirable residential location close to several small beaches and a short drive away from the world famous Grand Anse beach, bar and restaurants. The apartment is well equipped with a washing machine, cable TV, internet access, fans and there are burglar bars on the windows for extra peace of mind.